For Mechanical Repairs in York call us today at Tech Tyres Ltd! When it comes to mechanical repairs, our experienced team have a wealth of experience with it comes to repairing vehicles, with quality components used in all of our repair work. We are happy to offer any advice and assistance you need when it comes to repairs, so please don't hesitate to contact us today. Tech Tyres Ltd can replace the brakes on any make or model of vehicle as we have large stocks available meaning work can usually be completed that day. Brake checks are an important part of your vehicle's safety, so we recommend that your brakes are inspected periodically rather than when you have your MOT. We have a brake roller tester in our garage which can measure the performance levels of the braking system. It is important that you can spot the most common signs of when your brake pads are in need of changing or repairs, but if you are ever unsure please don't hesitate to contact us today. Unlike gearboxes and clutches where problems can be detected before anything major occurs, cambelts naturally wear and require replacement over a certain time frame or mileage interval. Each car maker will recommend different intervals for different models, however many drivers are unaware that this valuable component requires maintenance, let alone replacement. With every major service you have it is recommended that you ask about replacing your cambelt. It's a quick and easy check and can help prevent any costly damage should it fail in the future. 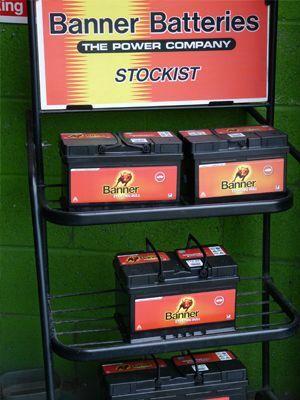 We are official stockists of Banner Batteries and we have a wide range in stock so we can quickly get you back out on the road in no time at all. We have invested heavily in battery testing equipment to help quickly identify problems in the battery and charging system, and all of our batteries are fitted free of charge while you wait and come complete with a full manufacturer's warranty. 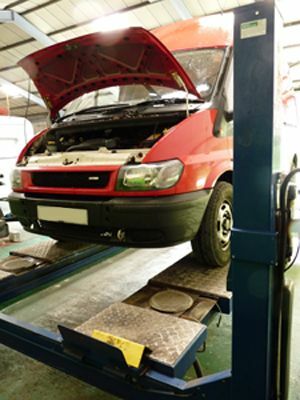 We have some of the most up to date diagnostic scanning tools which enable us to carry out and complete diagnostic testing on all types and make of vehicle, regardless of its age. Our equipment provides a fast route to detecting issues and ensures that your vehicle is running correctly at all times. If you feel there may be a problem with your clutch, simply visit us for a free check up. Common faults include climbing revs but no increase in speed, a loss of acceleration as the clutch slips, or a complete loss of drive and difficulty in changing gears. Other faults include grinding noises when changing gears and engine rev difficulties. We can offer a complete range of services including repairs, wheel balancing and alloy wheel repairs. If you need any repair services to your vehicle, please don`t hesitate to call our team on 01904 409 795 and we`ll be happy to help. You can also get in touch with us by using our email contact form. So whatever you need help with, car servicing, accident repairs or just a new set of tyres, we`re just a phone call away!